There are still a lot of people listen to music from CD, especially in cars. However, Spotify users who want to burn Spotify songs to CD may feel disappointed because Spotify is a streaming service only. There is no way to export our content outside of the app. 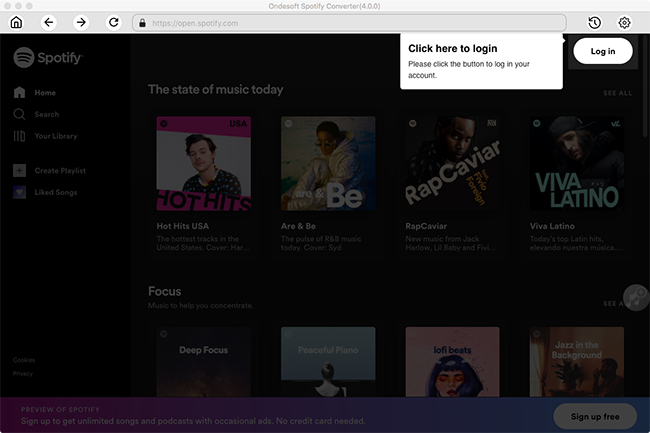 You can't burn Spotify music to CD even though you are a Spotify Premium user. You can't burn Spotify music to CD since the songs are DRM protected. However, if you can remove DRM from Spotify songs and convert them to plain audio formats such as MP3, you can then burn them to CD without any limitations. 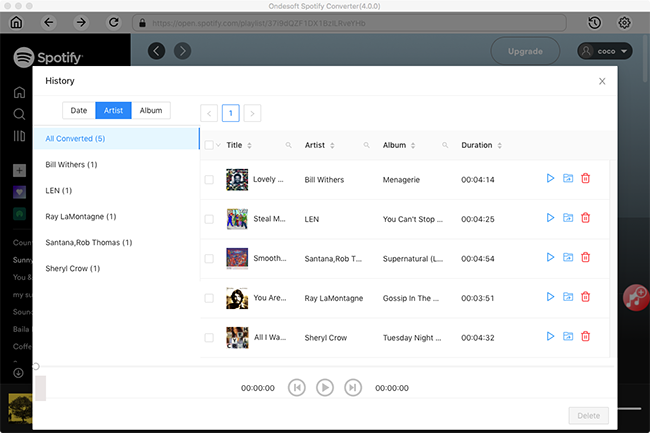 Ondesoft Spotify Music Converter is such a Spotify DRM removal tool which allows you to remove DRM from Spotify songs, albums and playlists and output DRM-free MP3, M4A, WAV and FLAC. 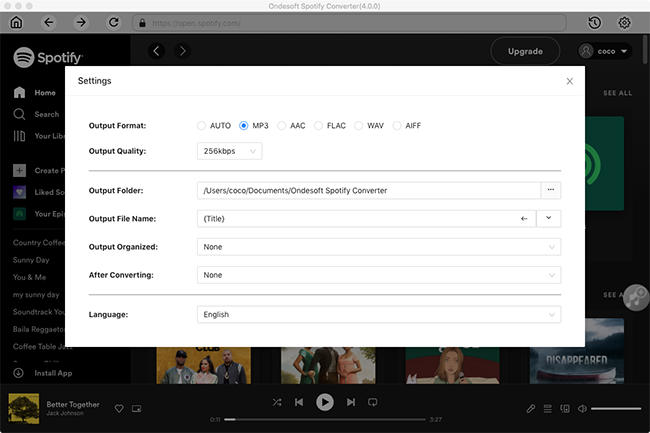 Ondesoft Spotify Converter is able to remove DRM from streaming songs without downloading them, so you can use it to remove Spotify DRM no matter you are a Spotify free or premium user. Related: How to download Spotify music to mp3? Tutorial: How to remove Spotify Music DRM and burn to CD? 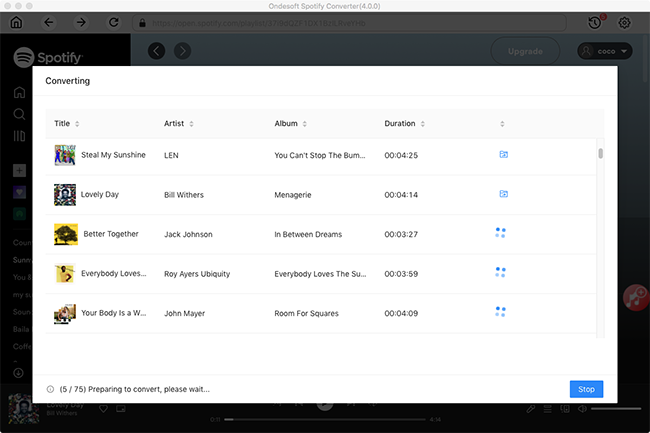 Download, install and run Ondesoft Spotify Converter on your Mac. 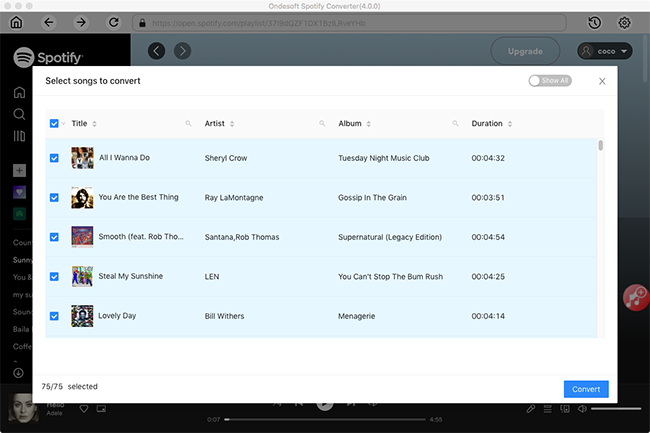 Click Convert button to start removing DRM from Spotify music and output to the plain format you choose. After conversion, click below folder icon to quickly locate the DRM-free Spotify song. You can then burn these DRM-free Spotify songs to CD and enjoy them on your CD player.